Windshield Repair by Action Glass. Stone Chip Repair Just $29.95. Windshield damage must be repaired immediately by an expert. The windshield is an important part of your car both as a protection from the elements and as the first line of safety in the event of an accident. Windshield damage must be repaired immediately by the experts. Therefore choosing the best windshield repair company in Grand Rapids and West Michigan is extremely important, and that means choosing Action Glass. Just $50 done in the shop. Your windshield can have different types of damage, but its important to repair your windshield in the event of any of the different types. Most of these require actual windshield replacement. Bull’s eye damage is a circular damage with a hole due to an impact. Another type is a half moon damage, also called a partial bull’s eye. The windshield can also have a crack in the outer or inner side. It’s mostly a single line. Sometimes, a combination of damage can also occur wherein all types of damages, such as holes and cracks, are visibly seen. As a driver, the damage is out of your line of site. When Should You Go to a Windshield Repair Expert? In short-- any time you have an issue with your windshield. You may search for how to fix a cracked windshield and there will be a lot of DIY crack or stone chip repairs out there. However, regardless if the damage is in or out your line of sight and regardless of how big or small the damage is you should bring your car to Action Glass immediately. Make sure our experts examine it, assesses the damage and repair the windshield properly. Avoid waiting for the damage to become more extensive as this could also mean more costly repairs on your part. 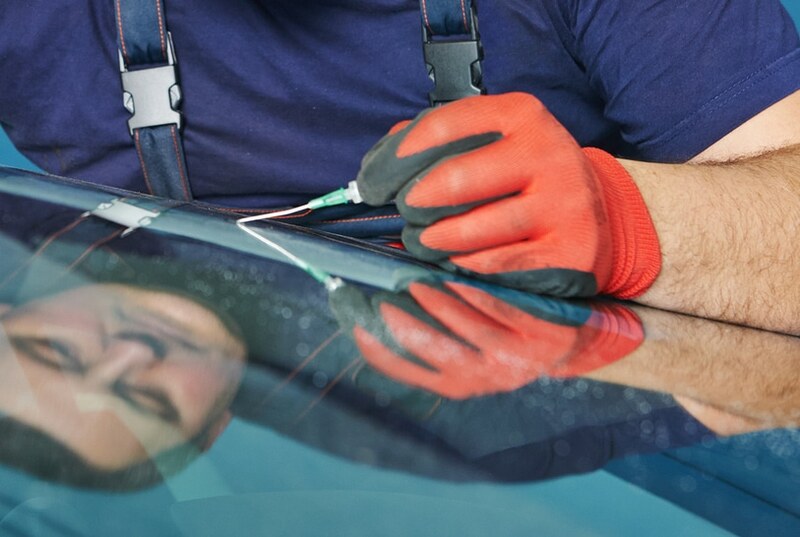 Let our certified windshield repair technicians check it right away. Remember that your windshield is your first protection during an accident. That’s why the experts from Action Glass ensure that a repairing and even windshield replacement is effective. Don’t wait too long to do it. The crack or holes can become bigger, especially with unforeseen weather conditions and items the might strike your windshield during normal operation. Why Choose Action Glass for Your Windshield Repair? We have a team of certified technicians who are experts in our field and focusing on windshield repair and replacement. Most of our techs have been with the company for a long time-- so we know what we're doing! We provide a lifetime no-leak auto glass warranty. The warranty applies to different vehicles needing windshield repair and replacements. We work with the majority of the car insurance providers operating in Michigan. And of course we also accept self-pay clients. We have a fast response rate whether its through email, Facebook or the telephone. Get a free quote just by sending us details about your windshield repair needs.